If you have questions about Crime Victims Compensation, including if you are eligible, please read our frequently asked questions. If you believe you are eligible for compensation, please complete and submit this online form. You may be eligible for additional compensation if your case continues into the post-conviction process. Learn more about the Oregon DOJ’s Post-Conviction Advocacy Program. For more information please refer to the frequently asked questions below, or contact us at CVSSD@doj.state.or.us or 1-800-503-7983. How much do compensation benefits cover? Adult victims must use their claim within three years after the date the claim was accepted. Family members of homicide victims must use claims for counseling within five years after the date their claim was accepted. Claims for child victims remain open until their 21st birthday or for three years after it was accepted, whichever is longer. Is property damage eligible for compensation? No. Damage or loss of property is not eligible for compensation. Is accidental injury or death eligible for compensation? No. Accidental injury or death, or that which results from the victim’s own behavior is not eligible for compensation. What else may make a crime ineligible for compensation? 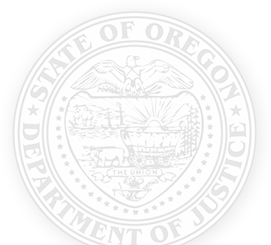 If the crime occurred before the Oregon Crime Victims’ Compensation Program became effective in January 1978, the victim is not eligible for compensation. We are usually able to notify applicants in writing within 90 days. We process each application we receive by obtaining police reports, medical reports and any other information necessary to make a fair determination. An individual’s benefits, such as health and auto insurance, sick leave, medical disability, Social Security, and compensatory fines or restitution, are considered resources that must be used before Crime Victims’ Compensation dollars. Are incarcerated victims eligible for compensation? Yes, but compensation may be deferred if the victim is incarcerated or owes money for a criminal conviction. What if a victim receives additional compensation from a source other than the Crime Victims Compensation Program? Any money recovered for the injury after compensation has been paid must be repaid to the Crime Victims’ Compensation Program. Do I have to use my private insurance/OHP/automobile insurance/disability insurance/sick pay? Yes. By law, Crime Victims’ Compensation is a last resort. Prior to billing Crime Victims’ Compensation, you must use resources such as private medical insurance, OHP, automobile insurance, Personal Injury Protection, disability insurance and sick pay. Also, if you have medical insurance, you must see a participating provider. What if the crime occurred in a state other than Oregon? Compensation benefits are paid by the state where the crime occurred. If you are the victim of a crime that occurred outside of Oregon, please visit the National Association of Crime Victims’ Compensation Boards » for information about compensation programs in that state.